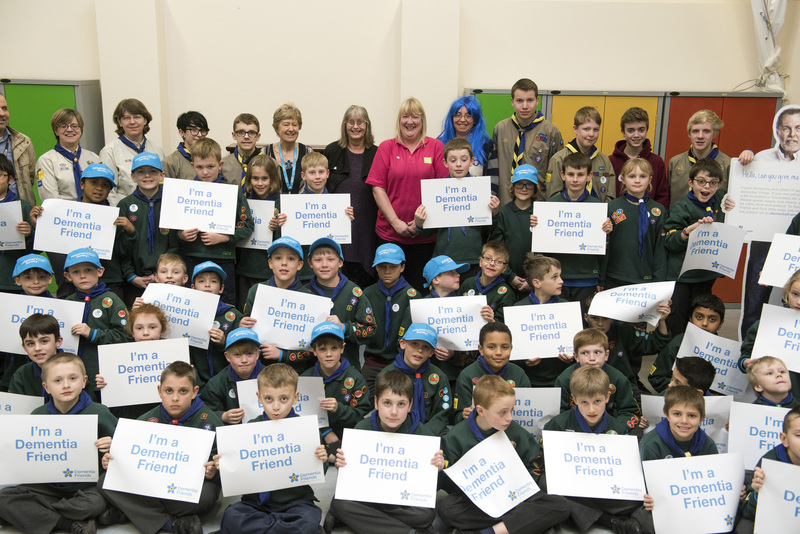 Eighty eight members of the 1st Kesgrave Cub Scouts Suffolk are now Dementia Friends having taken part in a Dementia Friends Information Session led by the East of England Co-op in partnership with Alzheimer’s Society Suffolk and Sue Ryder. Karen Trickey, Cub Scout Leader, Wolsey Pack 1ST Kesgrave Scouts said: “As a group we work closely with our community here in Kesgrave. We chose to support dementia care due to the increase in people being diagnosed and because we recognised that all of us could come across or know someone living with the disease in our lifetime. This entry was posted in Dementia Friend Sessions on May 24, 2016 by Dementia Friends.